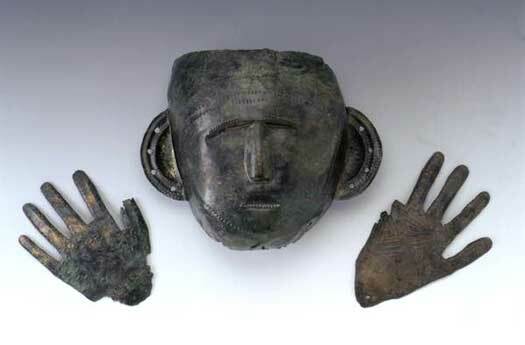 Using the words 'Celtic' to describe the warrior culture that dominated Western Europe and the British Isles before the coming of Rome has been popular since the Victorian period. But where did this name come from? 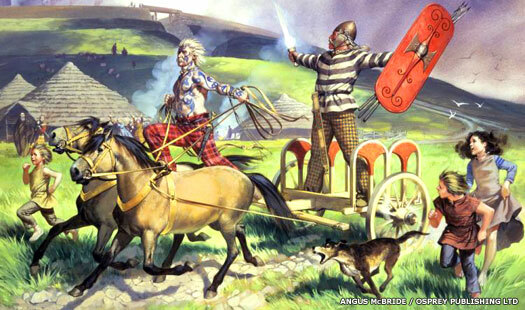 What's more, the Celts were known by several other names, such as Gaul, Keltoi, Galat or Galad, and Wahl or Wal. Where did these come from? Following the initial Indo-European migration into Europe, groups formed that began to drift apart, each group speaking their once-universal tongue a little differently. One group headed west into what is now France, Spain and Portugal. For the sake of clarity, these are called the West Indo-Europeans. Linguistically, one characteristic of this group was their retention of a 'kw' sound from the original Indo-European language. Some of these people also migrated into the British Isles and spread even farther west to Ireland where their version of the language survives to this day. In the old homeland in southern Germany and the northern Alps, the 'kw' sound at the beginning of many words was being replaced with a 'p' sound. Population pressures forced these people in the old homeland to migrate outwards; and they did so in all directions: north to the Baltic coastline (the Belgae, among others), east into Eastern Europe, south towards Italy, and west into France (Gaul). They became the dominant society in Europe. Meanwhile, a group of the first wave Indo-Europeans in the Latium region of the Italian peninsula, under the influence of pre-Indo-European civilisation (the Etruscans), began the very organised military conquest of their neighbours. Some of these were non-Indo-Europeans, but most were their not-too-distant relatives the Italic and Celtic tribes. Once conquered, they easily adapted their speech to the closely-related Latin. In Iberia the 'kw' sound (such as 'qu') was the same, making the transition easy after conquest - and so even today Spanish and Portuguese are very similar to Italian and their mutual mother, Latin - all of them being based on the original 'kw' using West Indo-European which evolved into Q-Italic and the Q-Celtic of the 'First Wave' of Celtic expansion. In France (Gaul) the old tongue had altered more, and so the Gaulish version of Latin was rather strange sounding (this was the P-Celtic of Celts of the Second Wave). Naturally not all linguists accept this version of events, but it is popular and also makes very good sense. 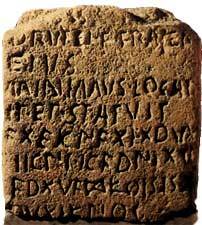 To the east, in the homeland of the postulated eastern Celts, or Venedi, the use of a 'w' as the initial letter was probably common - 'Wahl' for example. The same word would have been used in later years to denote a Celt in an increasingly Slavic-dominated east, but then fell into common usage as 'Volod' or similar, to become 'Volodimir', a popular Slavic name. That difference between Q-Celtic speakers and P-Celtic speakers was mirrored in later progression, with the Latins regarding the P-Celtic-speaking Gauls to be an enemy that was to be ridiculed (as well as feared). In general terms, the Romans coined the name 'Gaul' to describe the Celtic tribes of what is now central, northern and eastern France. As reported by Julius Caesar these tribes called themselves Celtae. But the word 'Gaul' is not the Roman spelling. The Romans spelled it 'Galli', from 'gallus', which is the word for male chickens (roosters). It is in fact an insult directed at a hated enemy who had attacked Rome for hundreds of years. cognate with g̑hel- and ghel-? Theory suggests that both 'celt' (the Greek 'keltoi') and 'galat' (used by tribes or kingdoms such as the Caledones, Caleti, and Galatians) derive from an older word lacking the 'k' or 'g' and which started with a 'w'. If the Celtic branch of West Indo-European placed a hard 'k' sound before the 'w' sound, it would have produced 'kwalet/kwelet' or 'kwaled/kweled', then the 'w' would have been compressed into an 'a' or an 'e'. The 'a' is favoured, again because the Germans habitually used 'wal' as the ethnic name of the Celts. The Celts or Keltoi or Galatians or Caleti[ans] were the leaders, the rulers, the strong. And they certainly proved it for several centuries across Iron Age Europe. There is a common error made about the Celtic Veneti and other Celtic tribal areas such as Galacia in modern Poland and eastern Germany, that the use of 'wahl' or 'wal' in their area indicates that these words mean 'foreigner' because it is supposedly applied to Slavs. It is true that the Veneti were later recorded as the Slavic-speaking Wends. But all this means is that the Celts in the east adopted the Slavic language, and the Slavs were labelled with the same name as the people over whom they now ruled (although they did not refer to themselves as such).